Personalized Cutting Board With Classic Handles 12"
Personalized Cutting Board With Classic Handles 12" X 18"
The Elegant Chef is a perfect gift for the cook who wants to go from chef to chic. This maple cutting board with classic handles allows for a custom carved monogram for a personal touch. You also have the choice of single initial. Our solid maple wood scalloped cutting board is a classic design. This scalloped-style board is versatile, personalized, and great not only for food preparation and chopping, but also used as a serving tray. This mid-sized carved scalloped cutting board is 12 inches by 18 inches and impressively 1 inch thick, making it built to last and the perfect size for cutting and prepping meat or vegetables. The light wood is accentuated with an inside perimeter juice groove that catches liquid to keep the counter or table clean. 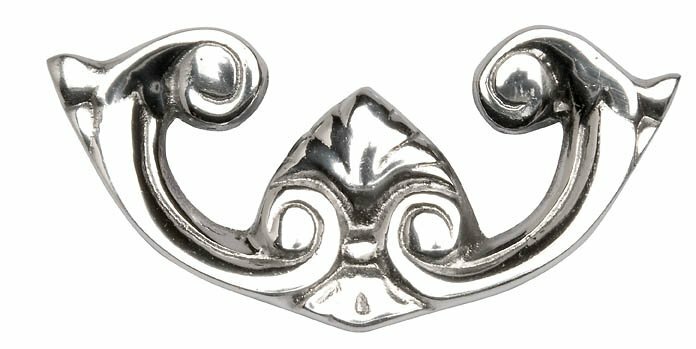 The cast aluminum classic handles customize the look for your scalloped board. The non-slip rubber feet ensure that the wood board stays secure. These features add to the functionality of the board. This scalloped board also includes a carved monogram of your choice for a touch of personalization. Our maple scalloped cutting board makes a lovely personalized gift for a wedding, birthday, or any other special occasion. 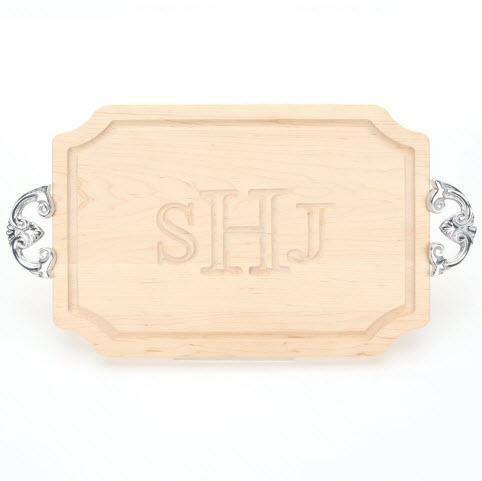 The beautiful carved monogram adds an element of personalization, and makes a special present for any occasion that will be remembered and treasured. Price: $113.00 In stock! - Browse this brand: Big WoodOur products are custom made to your specifications. This product ships up to 2 weeks after your order is placed.